Leadership development can produce some surprising behavior. I encountered this phenomenon several years ago when I was VP of learning for a growing SaaS company. We built a leadership development program for our millennial population with the goal of reducing employee turnover costs. The idea was that we could increase company loyalty by increasing promotion rates. After the first three cohorts went through the program, we dug into the data expecting to see that increased promotions were driving employee retention. But this wasn’t what happened. We discovered that while program participants were staying longer with the company, they weren’t necessarily moving into more senior roles more often. Something other than promotions was preventing them from becoming a flight risk. So we dug further, and found that a certain component of the leadership development program content (which was focused on techniques for influencing others) was triggering a specific behavior. Rather than moving up, program participants were moving within the company into roles where they could have more of a business impact. It turned out promotions weren’t as strong a driver for employee retention as we expected. With this new insight, we changed the learning content to strengthen the “influencing others” component. This way, we could avoid spending money on learning content that was not bringing returns for the business. This not only satisfied the retention need for our executives but also allowed us to market to, and support the development of, a broader audience. We also began to see some positive impacts on cross-functional collaboration in the employee engagement survey results. 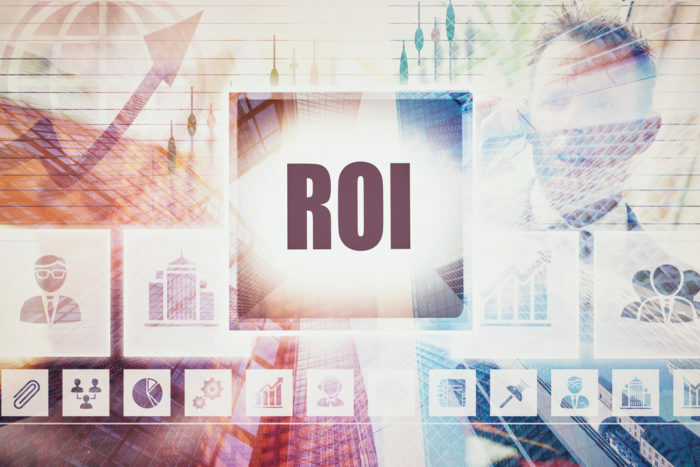 What this story illustrates is that, when there is a specific end in mind, L&D can refine the program to optimize spend and zone in on areas the business really cares about, while also producing some important side benefits. Of course, not all leadership programs serve the same purpose: Some are geared more towards meeting succession planning goals, while others are designed to ensure employees have the skills needed to deliver on a specific business vision. But for many learning leaders who are looking to deliver a bigger business impact, driving retention should be a key priority. Learning investment is rising year over year, and naturally, L&D is experiencing increased scrutiny from the business. Executives are increasingly expecting learning leaders to deliver on areas that are keeping them up at night, and retention is at the top of the list. Simply put, if you have a turnover problem, you have a profitability problem: When the direct costs of replacing an employee, interim reduction in labor costs, and costs of lost productivity are all taken into account, the total cost of voluntary turnover is $109,676 per exiting employee for an average US organization, according to Bersin by Deloitte research. At the end of the day, making the link between leadership development and retention is one of several ways that learning leaders can demonstrate business value both in the measurement and design of learning programs. However, this can’t be accomplished with a few isolated metrics, such as learning completions or learner satisfaction scores. Instead, it requires a rich analysis of business, learning, and people data, combined with a focus on business goals. Follow these steps to build a program that drives retention. Start by connecting with other areas of the business to understand how the organization makes and spends money. This will give you the context you need to establish precisely how turnover is impacting the bottom line. Also consider what the broader business goals will be one, three, and even five years into the future. If there is an M&A deal on the horizon, for example, you will need to consider how the deal will impact retention, and whether learning programs can help. Very high turnover for talent in critical roles poses the greatest business risk. Before designing any kind of retention program – whether it has a strong leadership development component or not – it is important to understand levels of turnover across tenure, roles, teams, and geographies. For example, the people analytics team at BBVA Compass, a US banking franchise, discovered that turnover was highest for one particular revenue-producing role. Using Visier’s people strategy platform, they quickly discovered that at certain branches, turnover for that role was significantly higher: 70 branches — about 10% of all branches — accounted for 41% of all turnover. With a granular view of where turnover is happening, you can then dig in to the why of the problem to gain an understanding of whether a learning program would be the right solution. A clustering analysis in the data will reveal what is common among people who are leaving, whether it’s long commute times or specific managers. If limited growth opportunities are indeed impacting retention, then the people within this population may be good candidates for leadership development investments. This kind of analysis can’t easily be executed by querying disparate HR systems. A technology solution that identifies and ranks, in real time, all factors contributing to resignations, can help you design learning programs to reduce rates and retain high-performing or critical employees. It can be difficult to determine whether your leadership development program is the main thing that is impacting retention. But when you reveal a trend, and not just point-in-time metrics, it is possible to show causation. For example, a graph with a blue line that shows percentage of turnover in the overall population, and a red line that shows the turnover among the program participants, will help you can gain a clear picture of whether the program is working or not. You can then dig deeper into the data and refine the learning content to focus on what really matters for the business. For many, getting this level of insight at the right time is just not feasible: It requires a mind-numbing amount of time to cobble the employee, learning, engagement, performance, financial, and business data together. With a technology solution that allows for dynamic interaction with the data, you can create charts on-the-fly that reveal key trends. These trends can be used, not just to inform the program-building process, but to report on results to key stakeholders. Some say their leadership doesn’t have an appetite for this kind of data. But if you can clearly demonstrate how leadership development is impacting profitability, they will pay closer attention, making it easier to garner buy-in for future programs. L&D is often characterized as a subjective discipline, particularly when it is focused on building soft skills through leadership development programs. But with a holistic approach to data, an organization can become free of confining assumptions, and learning measurement and program design can then become rooted in fact. This enables learning leaders to pursue what was once an impossible feat: demonstrating the true business impact of learning investments. This article originally published on the Visier blog. Tina is an experienced learning leader with a strong background in SaaS business strategy. At Visier, she coaches customers on how to deliver maximum impact with learning, business, and employee data analysis. Before joining Visier, Tina held various senior L&D positions, including VP of Strategic Learning Solutions for SilkRoad. Tina has a Masters Degree in Adult Education with an emphasis in Human Resources, and is a certified Senior Professional in Human Resources (SPHR).